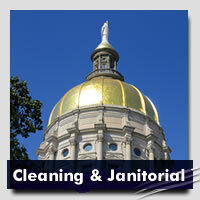 Our goal is to provide janitorial and construction clean up services that are of an unparalleled caliber and quality. To achieve this, we offer the following to each and every one of our clients, from the customer that needs our services once a month, to the 7-day a week customer. All cleaning is done per your specifications. By working closely with you, American Facility Services designs and maintains a program that fits your needs, and can continually adjust that program throughout the contract. Each employee is provided with the most appropriate and suitable technology to ensure prompt communication with every customer. Each client is assigned a Project Manager to oversee the successful execution of the contract. Comprehensive training programs along with state-of-the-art equipment are utilized to ensure that the service you receive exceeds your expectations. Due diligence is put into every project, whether services are being provided for several buildings or for a single office. Our employees take pride in their work! American Facility Services is customer service oriented and our focus is on building long-term relationships through accountability.